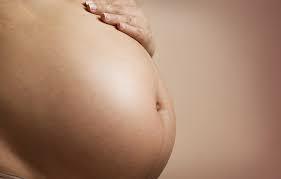 Prenatal massage is safe, drug free and effective for many conditions. Our therapists are experienced and highly trained, and certified in prenatal massage. Therapeutic massage in a professional environment can relieve many of the common symptoms experienced during pregnancy. Pregnancy is a joyful time but often causes discomfort. We offer comfortable side lying positioning for those who can no longer lay on their back. For those who prefer it, our treatment tables adjust to a semi reclined position. Cushions are positioned to ease hip and low back discomfort. We utilize various techniques including Swedish, trigger point release, aromatherapy and focused treatment work to help you relax and ease your symptoms. Pregnancy is a time of transition, and vulnerability. This can cause a rollercoaster of emotions. Fear, insecurity and anxiety are common. Nurturing touch and centering profoundly ease these feelings. It becomes a source of comfort and strength. Improves labor outcomes and improves the health of the newborn. This may be from a reduction in the stress hormone cortisol which is linked to premature births. Dr. Wirth of Tufts University, believes that maternal stress on the fetus changes the brain of the unborn child leading to aggression and emotionally underdeveloped children. Massage has been shown to reduce stress and is a great addition to prenatal care. Howell, Julie, NMT, PMT, Prenatal Health Through Massage Therapy: For Women and Their Babies.